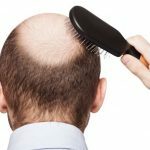 Shaving your head or wearing a wig is not necessarily the only option you have when dealing with hair loss. Thinning hair, receding hairlines, and bald spots can be effectively concealed with hair fibers. Quality hair fibers will offer the aspect of natural hair and will add density and volume to your look. The little fibers resemble natural hair and will make you feel rejuvenated and will boost your confidence. No more hiding your problematic areas under hats or caps, no more avoiding sitting under lights and no more frustration about what others might think about your look. Toppik is one of the top hair fiber concealers on the market and has reached #3 in our list of 6 best hair fiber concealers of 2017. This article offers a complete review on this product, from what it advertises to what customers say it is all about. Toppik is owned by Spencer Forrest, Inc. and its main ingredient is natural keratin protein, the same protein found in the human hair. The protein used in the Toppik Hair Fibers Concealer is of natural wool provenience, a source that makes the fibers naturally blend into your existing hair. Apart from, keratin, Toppik also contains Silica, Ammonium Chloride, Phenoxyethanol, Chlorphenesin and different color additives depending on the hair color chosen such as: Orange 4 (CI 15510), Yellow 6 (CI 15985), Red 33 (CI 17200), Yellow 5 (CI 19140), Green 3 (CI 42053), Blue 1(CI 42090), Red 22 (CI 45380), Green 6 (CI 61565), Green 5 (CI 61570). The product works well for both men and women of all ages and is suitable for all hair types, including ethnic hair. Toppik hair fibers stay in place even in wind, rain or perspiration and according to the company’s website the fibers won’t fall off even during exercising. As a matter of fact the fibers will help soak up excess sweat and oil in the hair (but not the oil on your scalp). 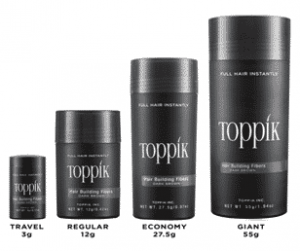 The Toppik Hair Fiber Concealer comes in 4 different sizes: travel (3g), regular (12g), economy (27.5g) and giant (55g). If you buy from the Toppik official website you can choose the auto-delivery option for certain products. That means you can set up a shipment frequency for a certain product (from one-time shipment to periodic delivery). The option is free and can be cancelled at any time. 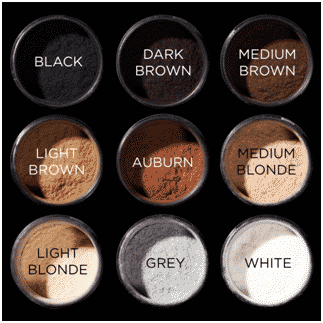 You can choose from 9 different colors (black, dark brown, medium brown, light brown, auburn, dark blonde, light blonde, gray and white) the one that matches your needs. The brand encourages its customers to even mix different shades to get a better match to their actual hair color, especially for blonde and gray hair. Toppik is an instant confidence builder and successfully conceals thinning areas in a few seconds. According to the official website, 93% of Toppik customers say they feel younger, more attractive and would recommend it to others. Also, 90% agree the concealer offers a natural look. 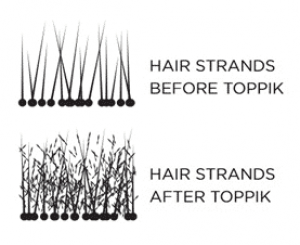 According to the company, Toppik hair fibers are made from natural keratin of the highest grade, obtained from natural wool and are the closest to what human hair is made of. Therefore, the fibers have an innate static charge that tightly binds the fibers with even the smallest hair strands. As stated by Toppik producers, the high quality keratin used, differentiates the concealer from other products of the same kind that use cotton, plant-based materials and rayon or lower-grade sources such as fish bones, nails or hooves. While imitators have to charge the fibers to electrostatically bond with hair, the Toppik fibers’ charge is produced naturally. The brand carries an entire line of products that conceal, volumize and nourish hair such as concealers, shampoos, conditioners or serums, as well as different accessories for a precise application and complete sets. Toppik FiberHold Spray. Intensifies the magnetic attraction between hair fibers and your hair and ensures longer-lasting results. The spray holds the fibers in place during wind, rain or perspiration and is used as a finishing step after applying the hair fibers. It also adds a shine to your final look. Due to shipping regulations the FiberHold Spray can only be shipped within the continental U.S.
Toppik Spray Applicator. 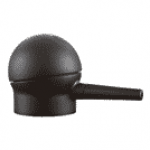 A patented tool that allows you to spray hair fibers on specific areas. The Spray Applicator can be attached only to the regular and economy size bottles and allows a more precise application when covering up roots or blend hair extensions. It can be combined with the Hairline Optimizer when working along the hairline. Toppik Hairline Optimizer. 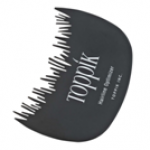 The Hairline Optimizer resembles a comb, but with irregular teeth that help mimic a natural hairline when applying the Toppik Hair Fibers. The Optimizer also prevents fibers from falling onto your forehead. For best results you should use it with the Toppik Spray Applicator. Toppik Hair Perfecting Duo. 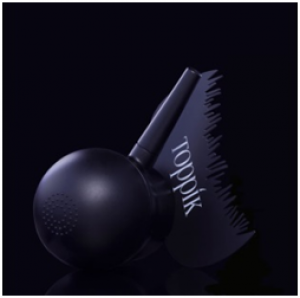 An essential kit containing the patented Toppik Spray Applicator and The Toppik Hairline Optimizer. Hair Perfecting Tool Kit. A must-have 3-piece toolkit for a perfect application. It contains the Toppik Spray Applicator, the Toppik Hairline Optimizer and a travel size Toppik FiberHold Spray. The kit does not include the Toppik Hair Building Fibers and due to shipping regulations cannot be delivered outside continental U.S.
Toppik Hair Building Shampoo. A lightweight formula that cleanses and nourishes hair and scalp with concentrated keratin proteins. Also, strengthens and and repairs thin, thinning or damaged hair. The product doesn’t contain parabens and sulfates. Toppik Hair Building Conditioner. A moisturizing conditioner that revitalizes fine, thin, thinning or damaged hair. The conditioner contains a nourishing complex of keratin proteins and aloe. The product is free of sulfates and parabens. Toppik Hair Building Shampoo & Conditioner Pack. A complete hair care set that contains the Toppik Hair Building Shampoo and the Toppik Hair Building Conditioner. Toppik Colored Hair Thickener. An innovative color spray solution for disguising thin or thinning hair, scalp show-through, bald spots and root regrowth. The color spray contains lightweight pigments is safe for every-day use and doesn’t clog pores. It is rain, wind and sweat resistant and it comes in 5 shades (black, dark brown, medium brown, light brown, gray). The product is available only for shipping throughout continental U.S.
Toppik Brow Building Fiber Set. A 3-piece kit for making even the thinnest eyebrows thick using keratin protein fibers. The kit contains a Brow Shaping Wax for shaping eyebrows, Brow Building Fibers and a Dual-End Brush for a simple and precise application. Available in 3 shades: dark, medium and light brown. Toppik Hair Fattener Advanced Thickening Serum. A hair styling serum for fine or thin hair that adds volume and thickness while making hair shine. The serum contains a concentrated keratin formula and is available in 2 sizes: travel size (1 oz) and regular size (3.4 oz). Ultimate Hair Brush For Thinning Hair. A hair brush specifically designed to style and care for fine, thin and thinning hair. 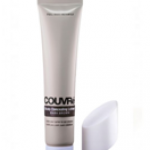 Couvré Scalp Concealing Lotion. A hair concealer that contains natural pigments and that eliminates the contrast between hair and scalp. Provides a long-lasting waterproof color without staining. The product comes in 5 shades (black, dark brown, medium brown, light brown, gray) is non-comedogenic and works best on damp scalp. Couvré Sponge Applicators. 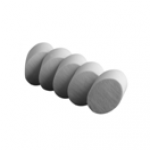 A 5-pack Sponge Applicators to blend hair concealer products into hair, for a natural look. Are usually used with the Couvre Scalp Concealing Lotion. 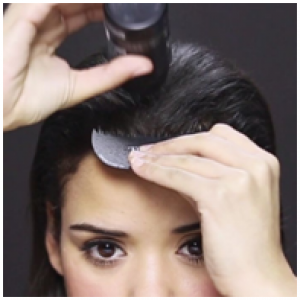 Applying the Toppik hair fibers is a very easy and simple process. You have to dry and style your hair as usual and shake the fibers over the problematic areas. Disperse the fibers through gentle patting and if you think it’s necessary lightly comb, brush or style your hair after applying the fibers. Use the FiberHold Spray for long-lasting effects. Simply hold the spray 4-8 inches from your hair and apply short, light sprays. For best results, use the Toppik Spray Applicator along with the Hairline Optimizer. 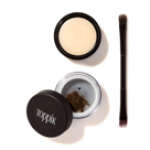 Twist and pull off the built-in sifter of the Toppik Hair Fiber Concealer and screw the Spray Applicator onto the bottle. Along with the Hairline Optimizer you will obtain a more natural look on your hairline and you will minimize the look of widow’s peak at the temples. If you have highlighted or salt and pepper hair, use more than one color to obtain a match. Always apply the lighter shade first or mix the colors in a bowl and then shake them over your thinning areas. Toppik is indeed a top hair fiber concealer and works great on concealing fine hair, bald spots and thinning areas. However, if you are suffering from severe Alopecia and have little or almost no hair then this product is not for you. Toppik has a lot of satisfied customers as advertised, some of them even using it for years without thinking about going for something else. The concealer does its job well and covers gray roots effectively. Although Amazon reviews are mixed, a few negative aspects are pretty much common. One of them is the fact that the colors don’t match with the customers’ natural hair color, especially the light shades. It takes a lot of testing to find a color that matches or that is close to natural hair colors. However, dark colors seem to have better results than blonde or gray. Also, customers say that applying the product is not that easy and that is a messy process. Even the tools are not as precise as advertised. For example, when using the Hairline Optimizer some fibers still reach your forehead, but you can wipe them off with a dry finger. The hair fibers leave smudges on the pillow or they rub off if you touch them. However, they absorb oil hair and they stay in place during light rain, but not if your hair gets soaked. The overall effect is pleasing from a distance, but the fibers are noticeable from up close. Also, be careful when using the fibers with hair spray because you might get a different effect than the one intended (such as a green instead of blonde). Toppik Hair Building Fibers is a safe concealer that can be used during hair regrowth treatments without causing any side effects. Also, the official website states that the concealer does not either help or disrupt hair regrowth. Although, a few customers complained about the product clogging their pores, there is no solid evidence that the product alone will cause this effect. Safety precautions apply as for any other common cosmetic product. Make sure you read the ingredients carefully and that you are not allergic to any of them. The cleansing products do not contain sulfites or parabens and you should keep them away from children. Avoid getting fibers or spray into the eyes and rinse with water in case of eye contact. Also, avoid inhaling the product and do not use it near a flame or when smoking. All in all, the Toppik Hair Fibers Concealer is worth giving a shot. Toppik has acquired a lot of satisfied customers that use it regularly for years and works excellent on thinning areas and bald spots. The fibers are made out of high quality keratin protein and in most cases work as advertised. The official website offers a lot of useful and clear information about its products and most importantly about their ingredients. The hair loss concealer also has its flaws: the colors don’t match, the process is not always easy (especially if you have to mix different shades to get a good result), the application process is messy and the fibers rub off in most cases if touched. That is the reason Toppik came in third in our list of hair fiber concealers. You can buy any Toppik product on their official website or on Amazon. Note: all the images and videos used in this article belong to Toppik and are taken from the official website.